Embrace the joie de vivre at Café & Bar Gavroche! Take time to soak in the ambience of Café & Bar Gavroche where gems and antiques sourced lovingly from France add character to this original space. Adorning the walls are aged mirrors, and, ceramic art pieces. A large selection of French wines forms part of the beverage menu, with focus on culture raisonnéé - producers of high caliber who practice sustainable agriculture and vin de soif - quality wines that are accessible and of good value. The food menu showcases lighter French fare, perfect for sharing. Enjoy an extensive selection of tartines (open face sandwiches with 14 choices of toppings on freshly baked bread), charcuterie, cheese platters and the all time favourite, Croque Monsieur. 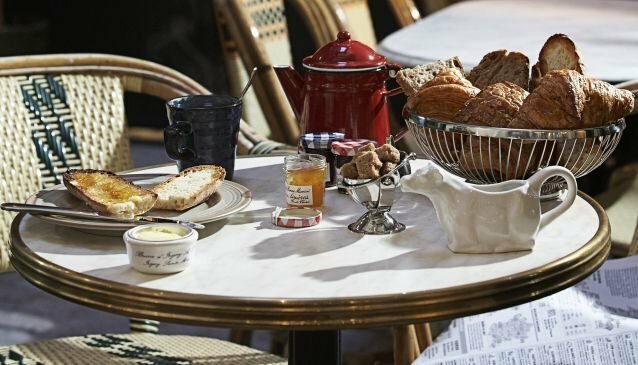 And on weekends from 10.30 am till 2pm, expect a appetising brunch with rustic and hearty portions of freshly-baked croissants, pastries and country breads along with French jams, and egg dishes done to perfection as you enjoy Paris on Tras Street!